Remember this guy from that GoDaddy Superbowl commercial with Bar Refaeli? 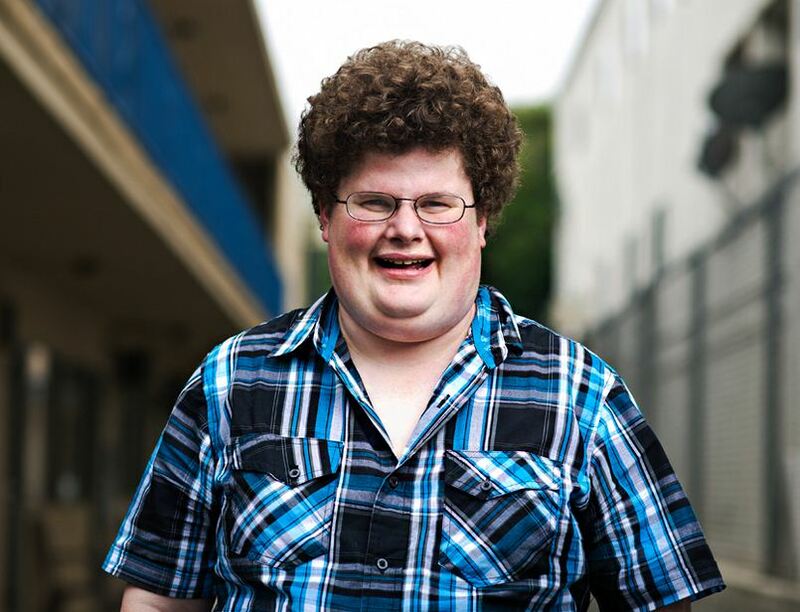 His name is Jesse Heiman, and I LOVE HIM!!! It is absolutely insane how much he has done (he was just in this past week's episode of The Mindy Project, and I excitedly pointed him out to Toby because he actually had lines), and according to a recent interview, he's been working in Hollywood since 2000! That's thirteen years of doing bit parts, you guys; while he hasn't exactly been struggling (according to a random web site that could be totally wrong and unreliable, he has a net worth of $500,000), it's pretty crazy and impressive that he's been at it this long, and is only now blowing up. Who knows, maybe he wanted it that way. Either way, I think it's so cool that he's finally getting his moment in the spotlight. Here's to many more moments like it. Stuff like this really makes me happy for some reason. Go Jesse. (For a full list of stuff you have almost definitely seen him in, here's his IMDB page).